Good morning, good morning! A couple of weeks ago I guest posted over at the incredible blog The Crafting Chicks for their 12 Days of Christmas series. When I found out that I was posting on the First Day of Christmas for this series, a.k.a. the Partridge in a Pear Tree day, I immediately had gold and green dancing in my head. I love the Christmas holiday season. It just feels GLITTERY to me. (Isn’t it just SHOCKING that a woman who named her businesses Bombshell BLING would see glitter everywhere in the air?!) I love wearing sequins and red lipstick and flashy jewelry to holiday parties. I wish I could find a place to dress like that all year long! 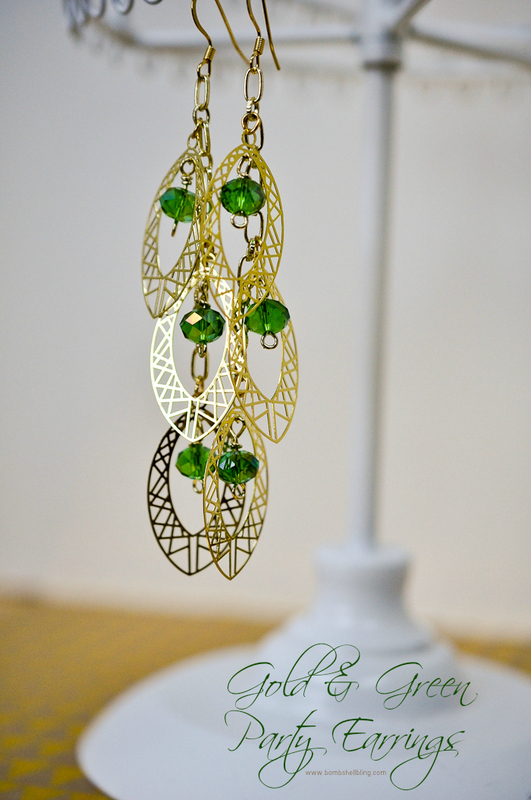 With holiday parties and glittering gold and green dancing about in my head, I decided to make a pair of fabulously flashy party earrings. 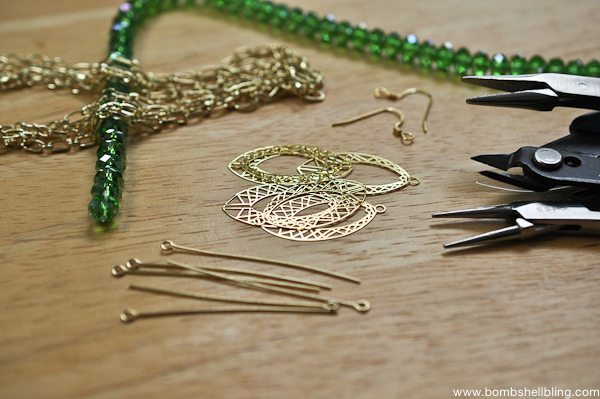 As long as you have the right tools, they are very simple to make. 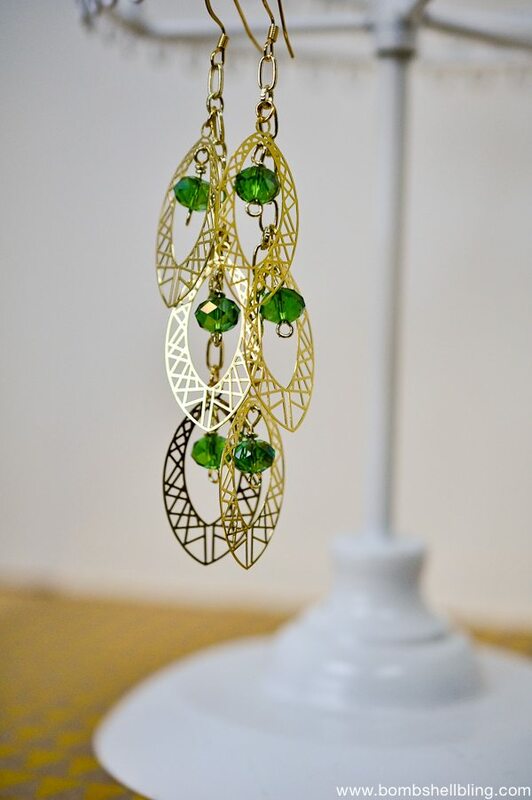 Because the metal pieces of the earrings are incredibly thin, they are also extremely light, so they won’t start to hurt after you wear them for awhile. I planned to list them in my Etsy shop when I was finished with them, but I love them too much, so I am keeping them instead! Happy holidays to me!! Now let’s get down to business, shall we? Prepare your chain. 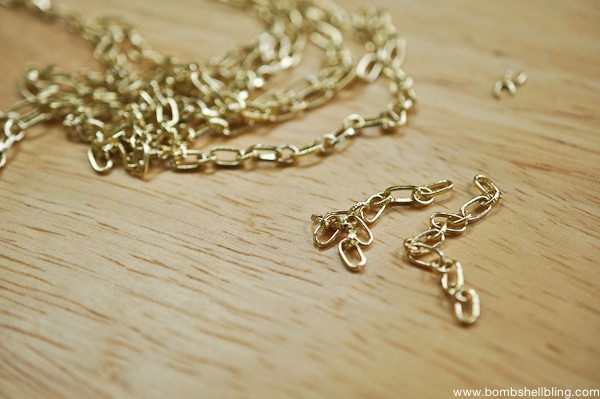 I used very small chain and cut two pieces of chain that were about two inches long. 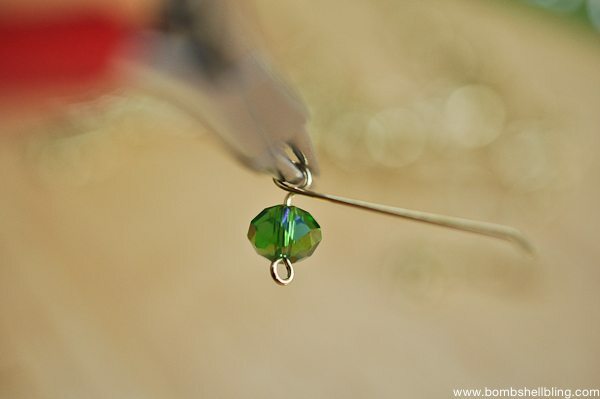 Begin by using your flat-nosed pliers to gently pull open the loop on your earring prong. 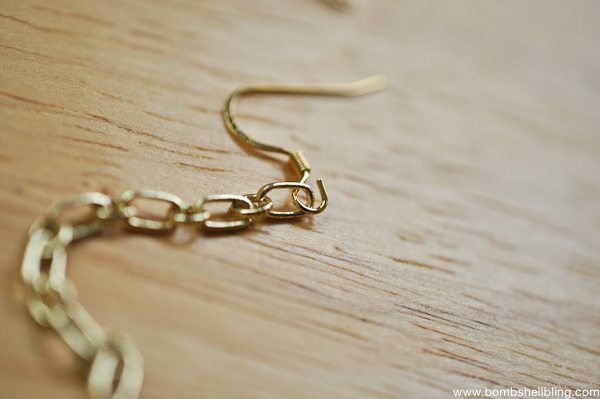 Thread it through a chain link, as shown, and then use your flat-nosed pliers to gently reposition the loop on your earring prong to be closed once more. 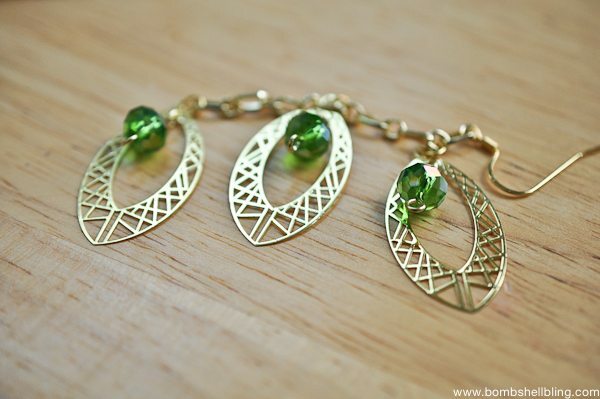 Repeat with the second earring prong. 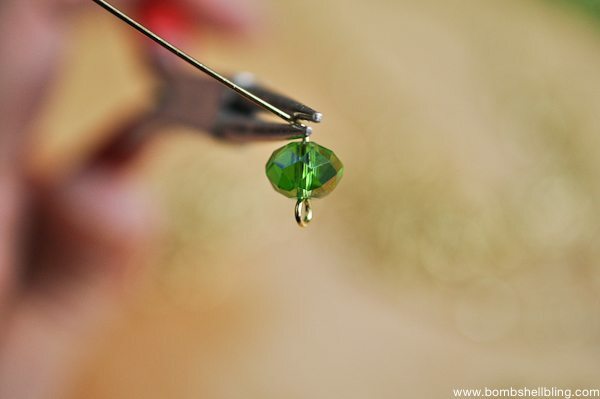 Prepare your crystals by putting one onto each eyepin. 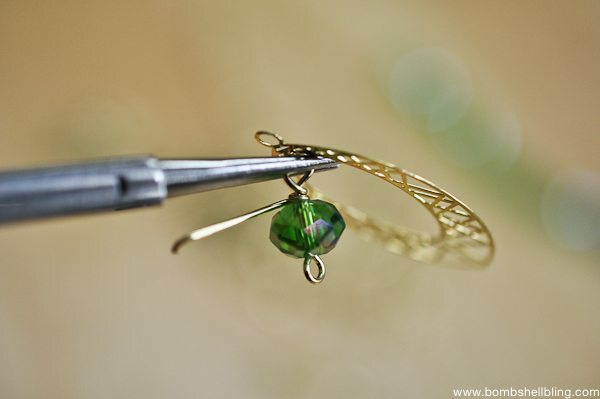 Use your round nosed pliers to gently bend the eyepin to the side near the base of the bead, as shown below. 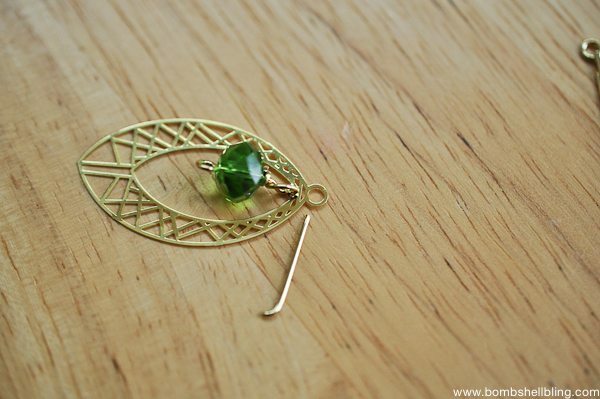 Thread the eyepin through the tiny opening on the top inside section of the marquise shape, as shown below. 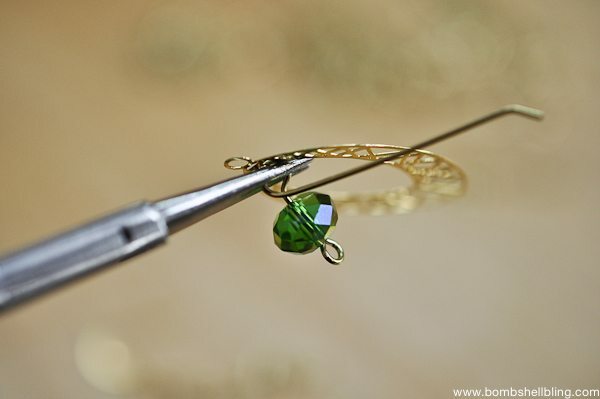 Next I usually use my round-nosed pliers to gently grip the loop in place, as shown above, and with my other hand I use the flat-nosed pliers to grip the end of the eyepin wire and twist it around the base of the eyepin wire a couple of times, therefore locking in the bead, as shown below. Repeat this process with each of the six marquise shapes. 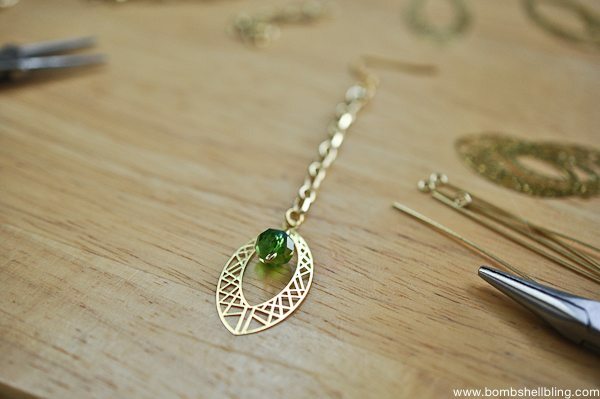 Time to attach the glittering marquise shapes to your chain. Use your flat nosed pliers to gently open a jump ring. 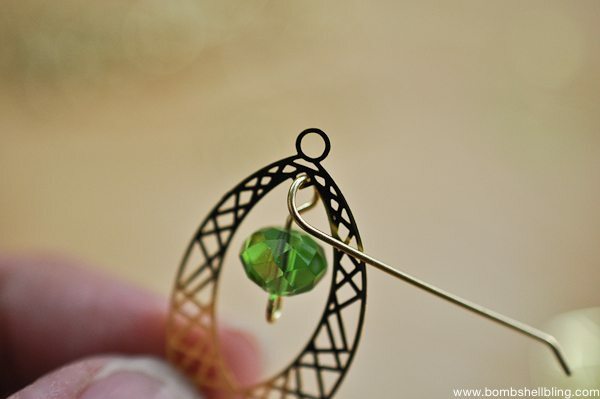 Thread it through the loop on the top of the marquise shape and then through the bottom link of your chain. Use the pliers to close it again. Repeat this process on the top chain link and the chain link in the center. 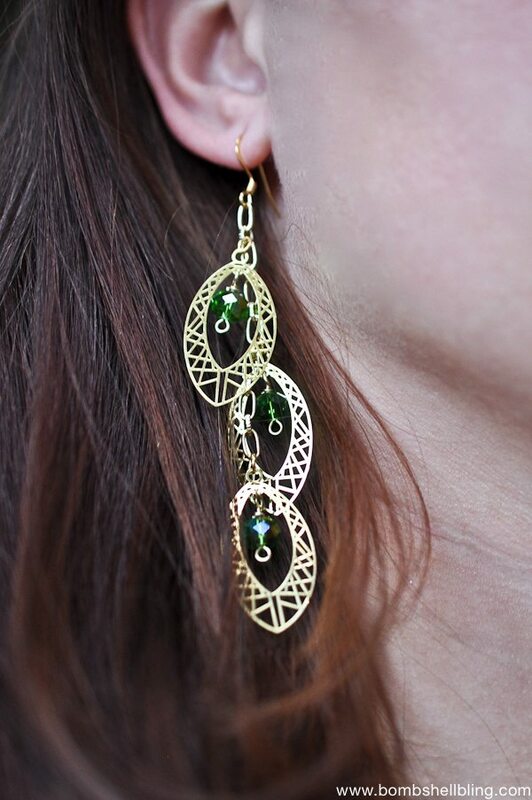 Do this on both earrings. 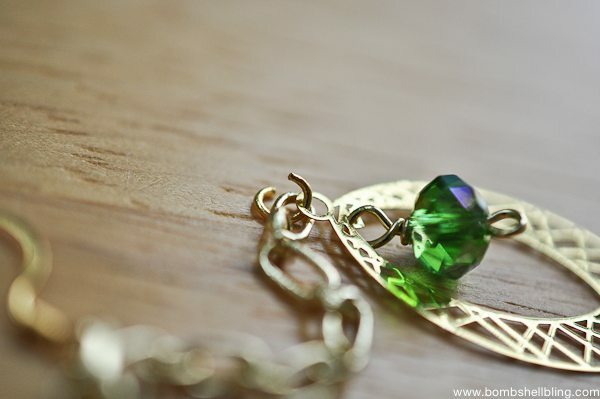 All that you have left to do now is to try them on and plan the perfect person to give them to as a gift . . . or be like me and plan the perfect outfit to wear them with instead! 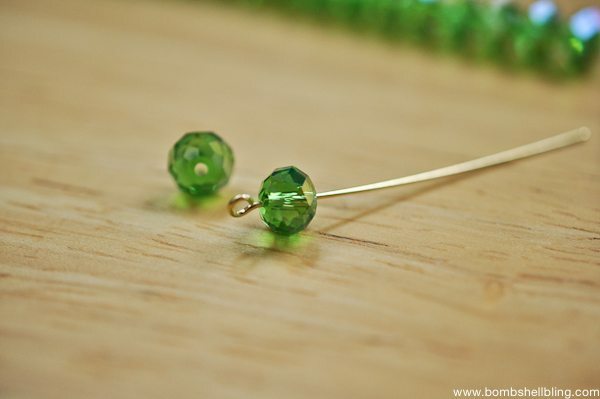 If you liked this tutorial for Gold & Green Party Earrings then you may also enjoy my Crystal & Pearl Bridal Earring Tutorial, which I have made variations of for a couple of different brides.